Apart from keeping your computer clean from potentially unwanted files, it also protects your privacy at the same time because other users sharing the same computer wouldn’t be able to track what you’ve previously done on the PC as most software has a history function that shows the recently opened files. 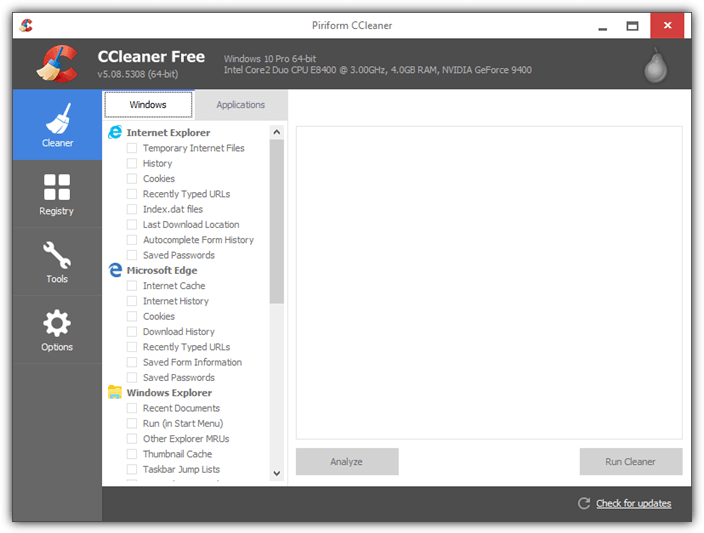 The easiest method to optimize your computer by keeping it clean from unused temporary files is by using CCleaner, possibly the most popular free tool today to remove junk files. Although CCleaner already comes with quite a good amount of carefully selected rules to find potentially unused files, some users may think that it is not very complete. This is because the default rules are leaning more towards safety rather than aggressively detecting and removing every single history record on the computer. 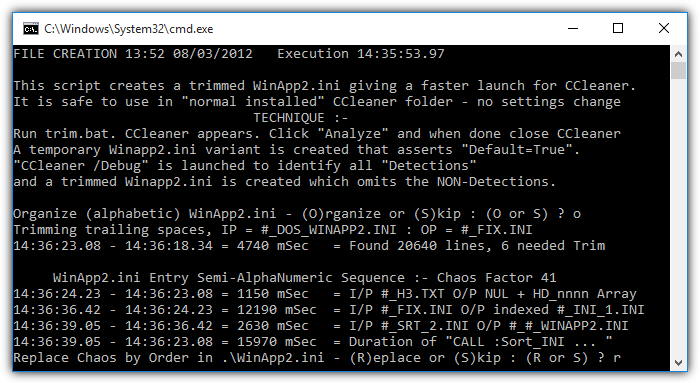 Fortunately CCleaner allows you to add your own program to clean through an external winapp1.ini or winapp2.ini file. A third party ready made Winapp2.ini that currently detects 2,490 entries already exists which can be downloaded from www.winapp2.com and imported to CCleaner for free. All you need to do is save the Winapp2.ini file to the location where CCleaner is installed which is by default at C:\Program Files\CCleaner\ and CCleaner will automatically load the additional cleaning rules at the next run. Although it sounds easy, there are 2 potential problems which is the need to periodically update the Winapp2.ini file because it appears that there is an updated Winapp2.ini to reflect the changes of every newly released version of CCleaner, and a huge increased delay in loading the Applications tab. Fortunately the 2 potential problems mentioned above can be easily solved using a very handy tool called CCEnhancer. 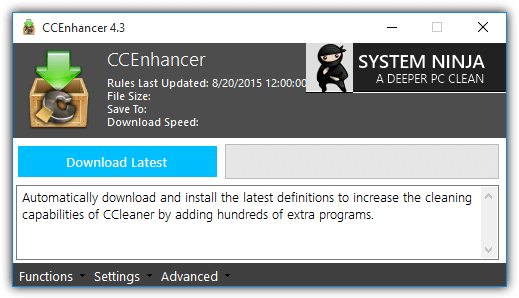 CCEnhancer is another third party tool that automatically downloads the latest Winapp2.ini with a click of a mouse button and intelligently detects the installation path of CCleaner so that it saves the downloaded Winapp2.ini file to the same location as CCleaner. 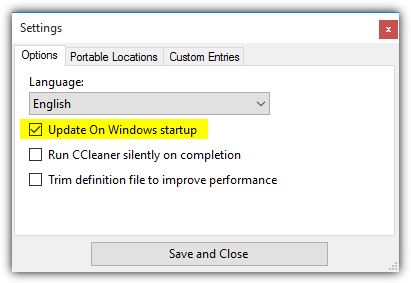 You can either manually run CCEnhancer once in a while especially after updating CCleaner to download the latest Winapp2.ini file, or click on Settings from the bottom of the prorgam and tick the checkbox “Update On Windows startup” which will add an auto startup entry to run CCEnhancer with a /AUTO switch. This option would not work if UAC is enabled and CCleaner is installed in Program Files because CCEnhancer will not be able to copy the downloaded Winapp2.ini file to Program Files without the UAC elevation. You can either disable UAC or use some workarounds to disable User Account Control for specific software to solve this problem. As for solving the 2nd problem which is the huge increased delay in loading the Applications tab after importing the Winapp2.ini, a batch file called Trim.bat created by the same author of the Winapp2.ini can be used to remove unused rules from the full 800+KB definition file. It needs to be run as administrator from the directory where CCleaner is installed and you will be asked a series of questions such as organize (alphabetic), replace chaos by order, run ccleaner (analyze and close), preserve volatile detection, update winapp2.ini, and finally delete child folder. The trimming needs to be done every time after downloading Winapp2.ini which can be quite troublesome. 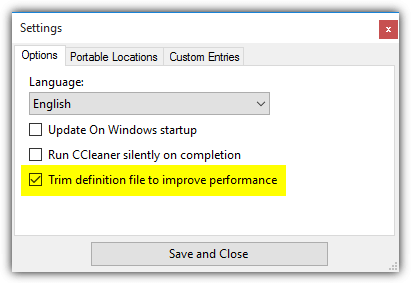 An easier solution is to just enable the “Trim definition file to improve performance” in CCEnhancer settings to handle this task automatically. So whenever CCEnhancer finishes downloading the latest Winapp2.ini file, the trim option will automatically analyze and detect the necessary rules that are needed on your computer and it creates a much smaller and optimized Winapp2.ini. CCEnhancer is free and requires .NET Framework 3.5 installed to run. 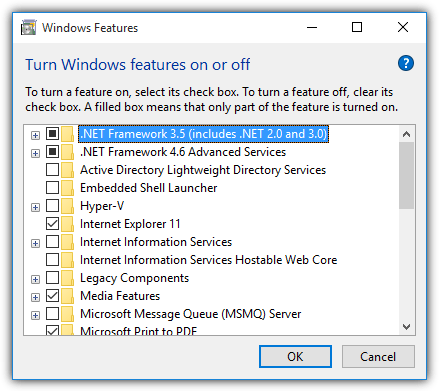 In Windows 8 and 10, you can easily install .NET Framework 3.5 by pressing the Start button, type optionalfeatures.exe, run it, click on the checkbox that shows “.NET Framework 3.5 (includes .NET 2.0 and 3.0)” and click OK.
Additional Notes: You may noticed that CCleaner still lists programs that you’ve already uninstalled. This is because there are still traces of the uninstalled program and it is common that there are leftovers which were never removed by the uninstaller. The registry cleaner in CCleaner might be able to remove some of the traces of uninstalled programs if the detection is based on registry entries and not a file/folder. Run Windows Faster by Removing Unused and Temporary Files using CCleaner .NET Framework Setup Verification Utility Why are there Multiple Versions of Microsoft .NET Framework in Add or Remove Programs? 4 Ways to Force Complete Uninstall of Windows Live Messenger What is dumprep.exe? Why is KernelFaultCheck dumprep 0 -k in MSCONFIG Startup? I saw this a few days ago, D/L ed it, but waited until I could read more on it before using it. Now that I’ve seen your review, it’s now a permanent part of CCleaner on my machine running Win XP 32 bit SP3. Thanks for the review. This software seems very easy to use but formidable….. Thanks a lot, for the tip and blog. It works great. So far it’s a great enhancement (i.e., no problems at all)! Use CC constantly–really appreciate your thorough article and recommendation. using ccleaner for so loong,never knew about the enhancer. thanks mate! Thanks a lot. Great tip! You’re great! This is great as someone make an interest to enhance our favorite Ccleaner. I hope they support portable version of Ccleaner. Thanks. It is great addition to already solid software. I am already using it after some customization.